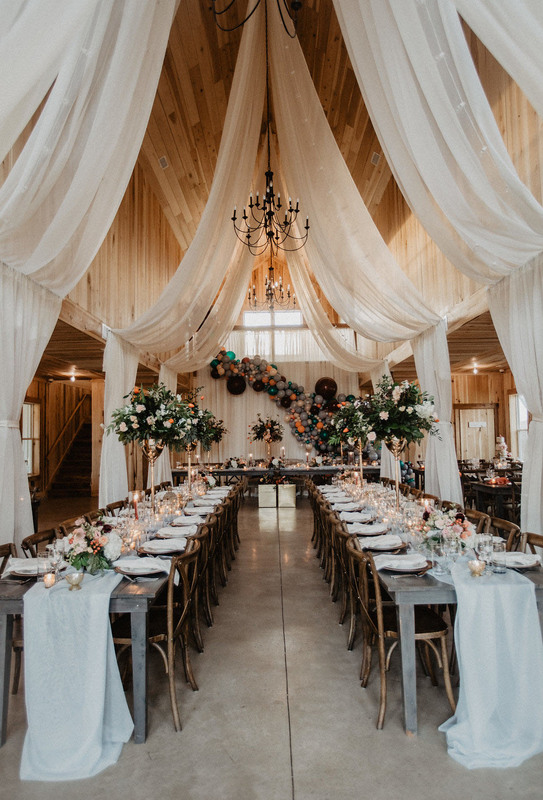 This styled editorial gets one thing straight: a farm or barn reception does not always equal a rustic country reception! 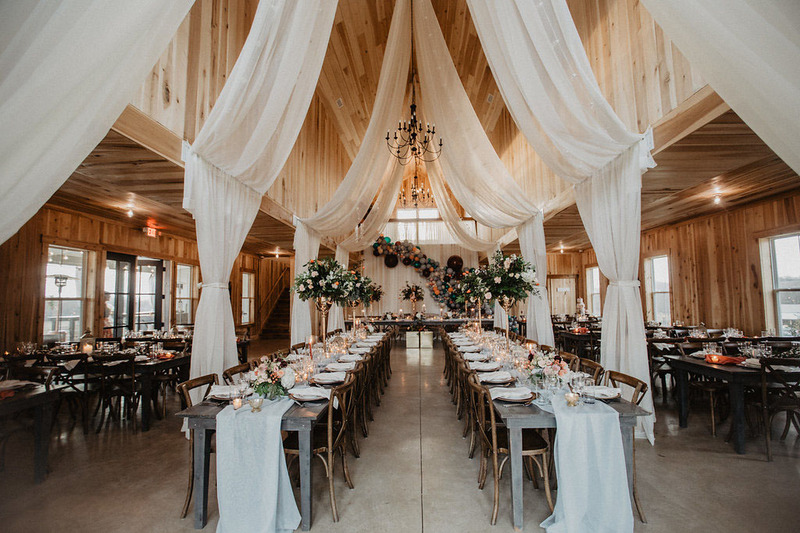 Stephanie, the owner of Allenbrooke Farms in Spring Hill, TN, designed a day full of glamour and bohemian details. She found her muse in Sarah, an Instagram-turned-real-life friend who’s blog is full-on fashion gal. 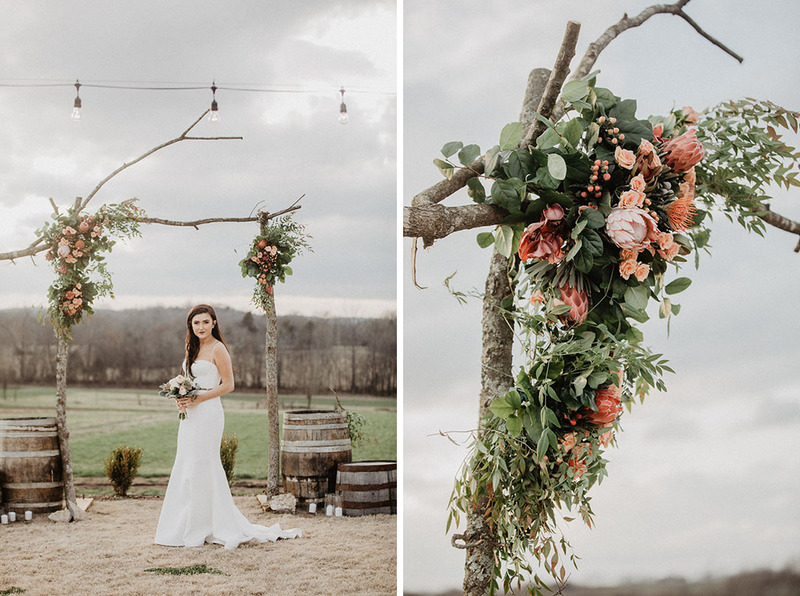 Sarah agreed to be a bride for a day, and everything unfolded from there! Sarah’s style is really bohemian but has a glam element, so I definitely wanted the shoot to reflect that. For the color palette, I was really inspired by Sarah’s Instagram aesthetic, and actually chose the colors from a specific post on her account. If you look at her feed, she gravitates towards bright poppy, marigold, and blue palettes, so I took that scheme and ran with it! 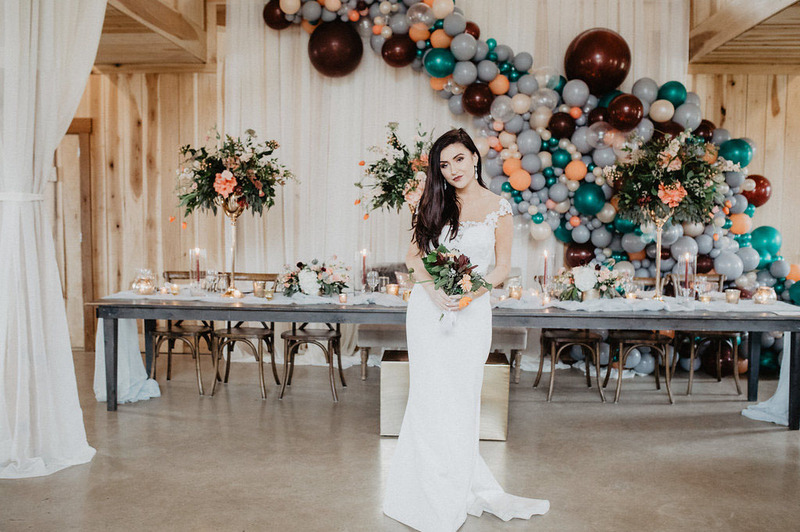 For the balloon installation, I just knew that I wanted to show that you can incorporate balloons into a barn wedding in a way that feels really fresh and chic. 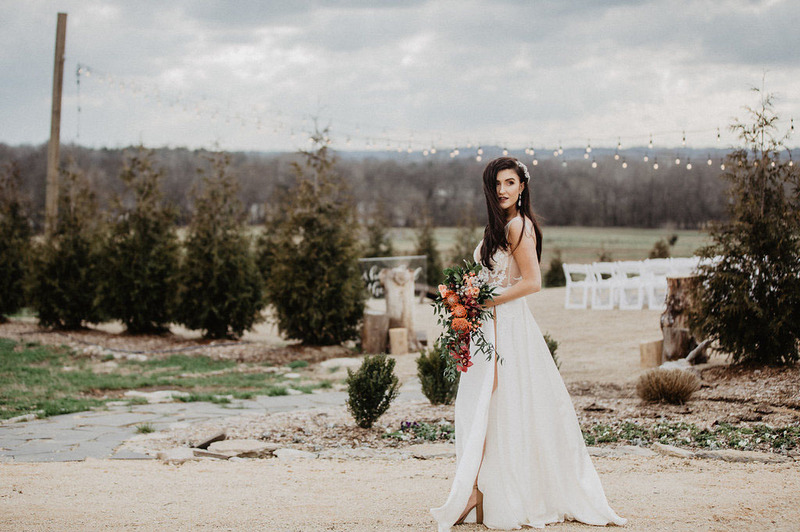 Prancing around in wedding dresses all day? Sounds amaaaazing! 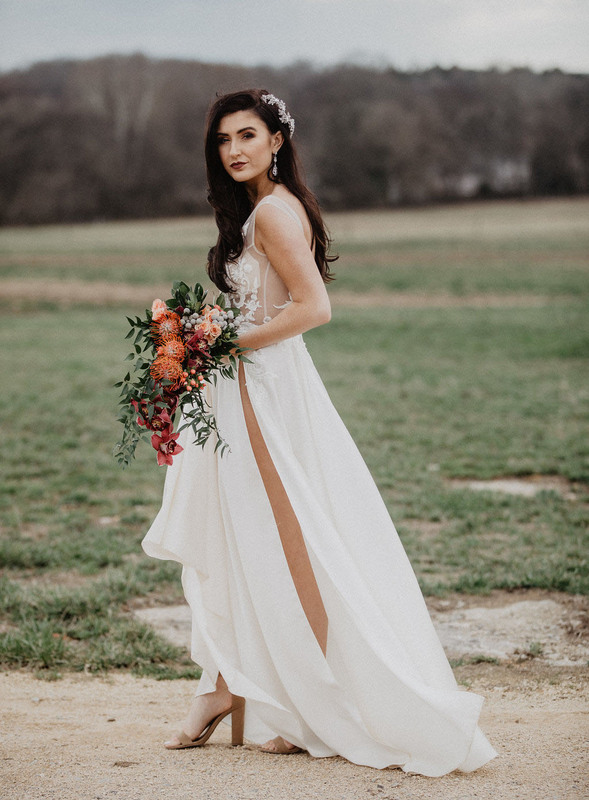 Sarah wore selections from Romona Keveza and the Muse Collection by Berta, all provided by m. Elizabeth Bridal in Nashville. 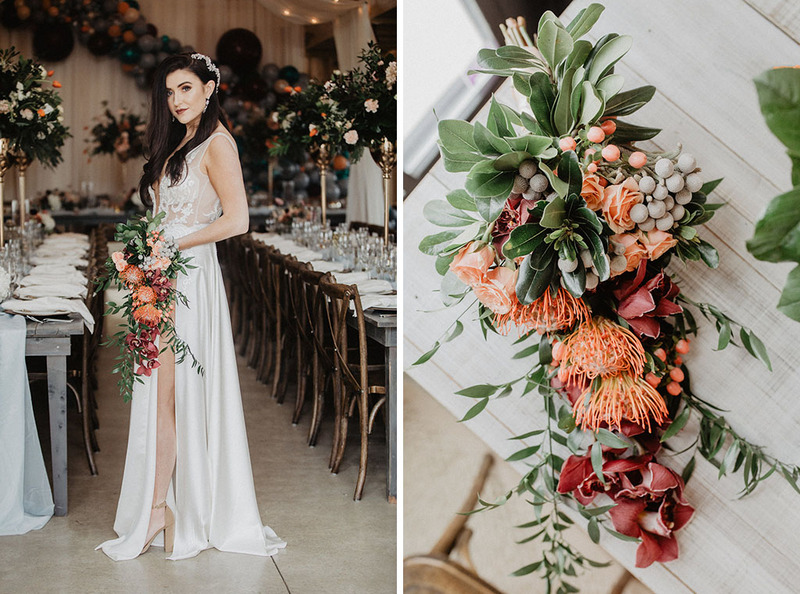 Belles Fleurs really brought the boho vision to life with floral designs made from proteas, roses, orchids, and plenty of greenery. LOVE! Sarah’s glam ‘do by Go Gorgeous was highlighted perfectly with a headpiece by Maria Elena. 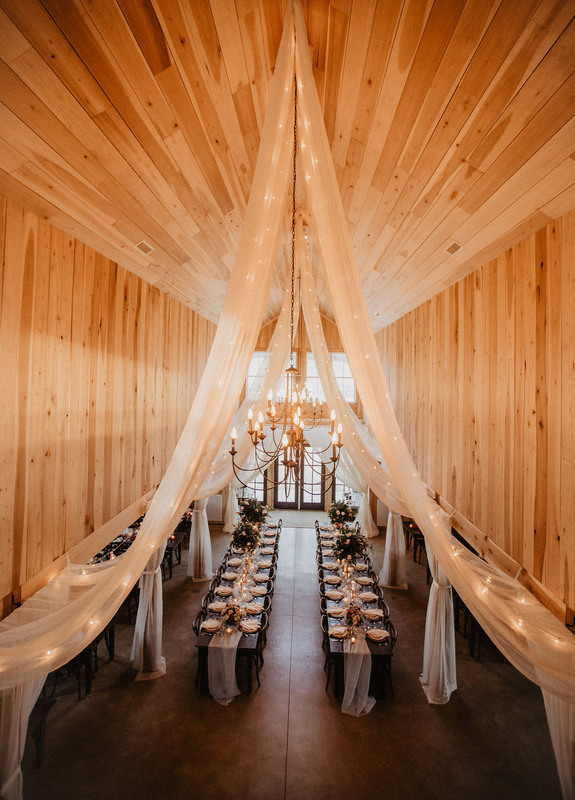 That drapery and lighting from Southern Sky Event Lighting totally elevates the drama of the room! First rule of a chic balloon instal? Chic balloon colors! 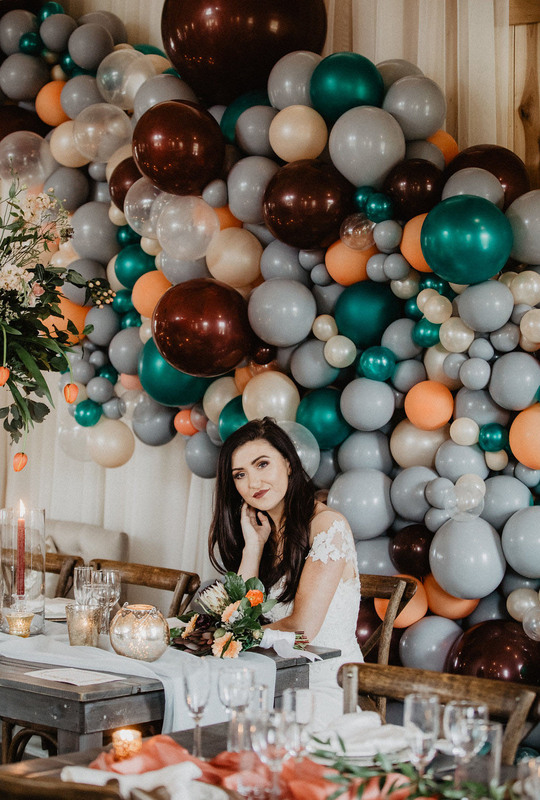 Love this mix of grey, burgundy, teal, and peach by Vroom Vroom Balloon! 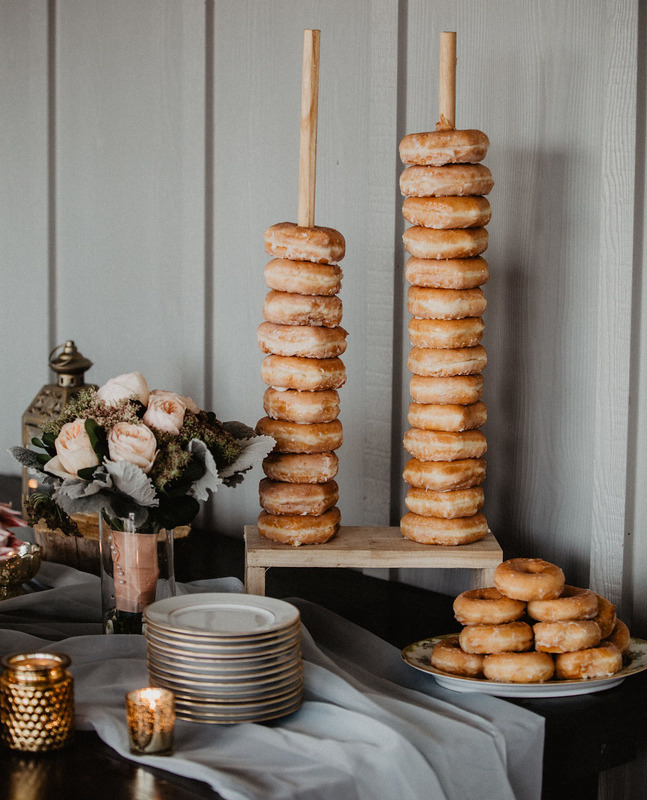 You can never go wrong with donuts—well done, team! 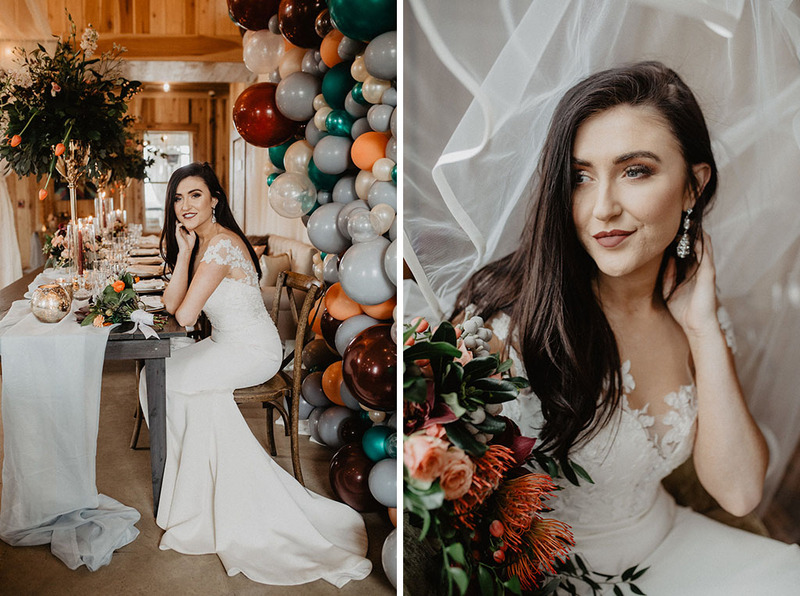 Thanks to Stephanie and everyone behind the shoot for sharing this boho-glam day with us!